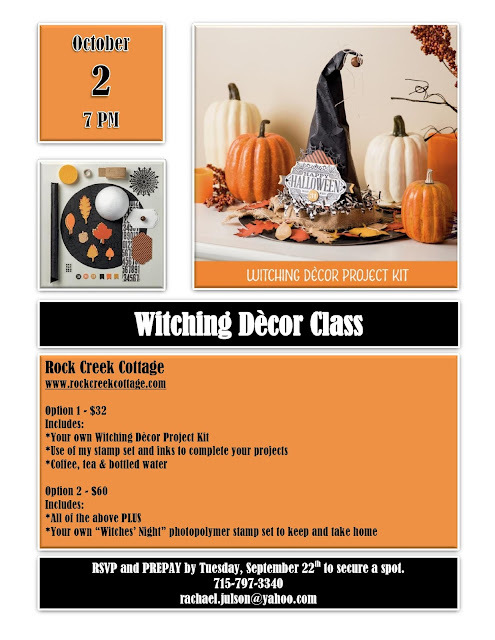 I am now offering monthly classes at Rock Creek Cottage in Caryville, Wisconsin! Join me for my first one on Friday, October 2, 2015. We will be making this adorable witch hat!